45 authentic Sanskrit chants to dispel fear, remove obstacles, and attract abundance. Imagine uttering a simple pattern of sacred sounds and discovering that they promote physical healing, magnify the powers of the mind, and even attract abundance into our lives. Extraordinary? Yes. Yet this is precisely what happened to the yogis of India when they first created the science of mantras, or sacred sound formulas, over 4,000 years ago. 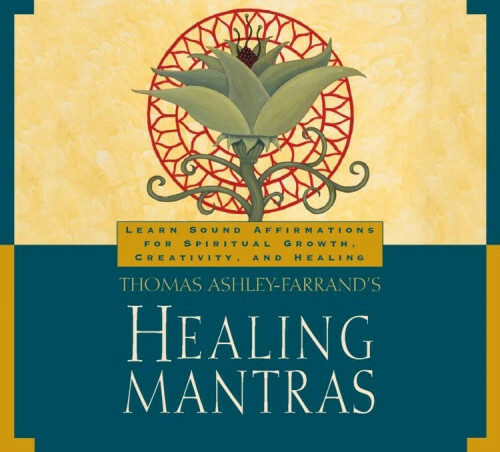 Now, with Thomas Ashley-Farrand's Healing Mantras, you have access to 45 of these authentic chants to dispel fear, remove hidden obstacles, and attract abundance in every arena of life from vocational and financial concerns to intimate relationships and artistic pursuits. Thomas Ashley-Farrand demonstrates how to pronounce each of these powerful formulas with perfect precision, which is a key to their effectiveness. During a lunch break, at home, or while driving, Healing Mantras is an affordable and practical way to begin using this ancient science of sound anywhere and anytime. Includes a comprehensive, 23-page study guide on the theory and application of mantra practice. I was disappointed. It did not have the chants that I wanted to hear. Many years ago, I purchased a detailed instructional program by the same author. I loved those chants and wanted to reconnect with them (the cassettes had been tossed a while back). I thought my recent purchase would have (at least) some of those chants. Alas... none were included.